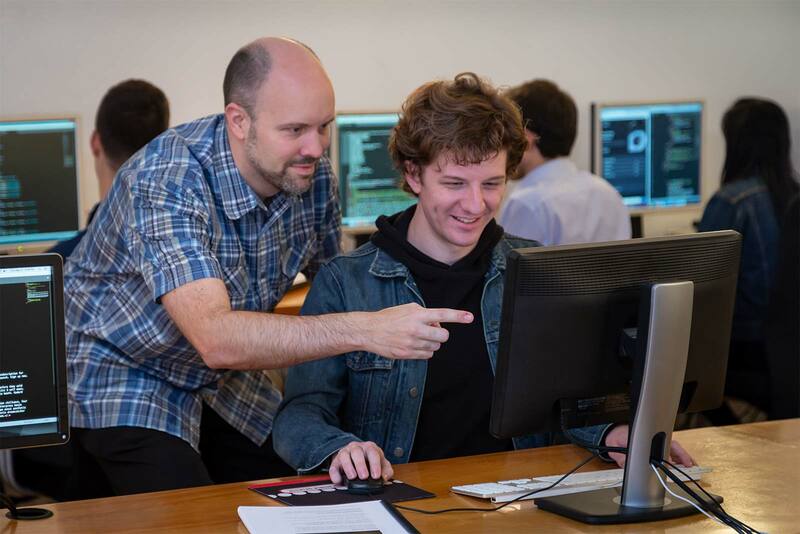 Through classes and certificate programs, Noble Desktop has trained tens of thousands of designers since 1990 in design theory and apps such as Adobe Illustrator, Photoshop, InDesign, and Sketch. Become a well-rounded Adobe expert, learn design principles, and design & prototype a great user experience. Earn a certificate in graphic design, visual design, or UI & UX design in full or part-time New York State approved programs. This Graphic Design Certificate Program includes classes in Photoshop, InDesign, Illustrator, and our project-based Graphic Design Fundamentals. Learn to design, retouch photos, create vector graphics, and walk away with designs to show to prospective employers. Design mobile & web interfaces, learn graphic design fundamentals, and create a portfolio. Our Visual Design Certificate includes classes in Photoshop, Illustrator, Sketch, Graphic Design & Visual Design. Learn to design the UX (User Experience) and UI (User Interface) of websites in this 60-hour certificate program. From prototyping, to user research and testing, to creating visual designs in Sketch, and more, you’ll learn how to create effective designs. Improve your photos by removing unwanted elements; use Adobe Lightroom to download, organize, and edit your photos; and learn to adjust color, contrast, and more in our Photo Retouching Certificate Program. Start with no experience and leave with confident expertise in the topic of your choice. You’ll learn by doing with our step-by-step workbooks and project-based curriculum. Get started using Photoshop to retouch and color correct photos, create graphics and more. In class you’ll work on everything from color correction to photo retouching, moving from a scanned image or digital camera shot to final output for print or web. You’ll learn about layers, masks, paths, filters, type, and more! Learn how to use InDesign in this 18-hour comprehensive class. You’ll start with styling text and adding photos. You’ll then learn to create colors, add multiple pages, and thread text frames. By the end of the training, you’ll understand how to create page layouts for books, magazines, ads and more. You'll also be able to package your files to send them to be printed, and generate PDFs for print or web. From logos to patterns, from packaging to type, we’ll teach you lots of what Illustrator can do. You’ll create numerous graphics in class, using the standard drawing tools, the Pen tool, type, compound paths, effects, layers, masks, patterns, blends, colors, and more! We’ll help you to learn how to master the Pen tool, as well as show you ways to easily create complex shapes out of easy to draw basic components. In the end you’ll be able to use these graphics and techniques on any graphic, whether it’s for print or web. Learn the fundamentals of graphic design as you design and produce real-world projects. Broaden your understand of graphic design concepts, understand the elements of design, and expand your portfolio in this hands-on graphic design course. This intro course will start from the beginning with importing photos from your camera into Lightroom’s catalog. Then you’ll see how to edit and organize all those pictures. Optimize and develop photos for printing, create slideshows, create webpages and printed books to share your work, and publish your pictures on social media sites. Last but not least, you’ll learn how to keep your photo library safe by implementing backup strategies. Workshops are designed for those who need a quick introduction to a topic. You’ll emerge with a solid understanding of the basics and plenty of knowledge to propel you forward. This class is designed to get you up and running quickly with the fundamentals of Photoshop: retouch photos, improve contrast and color, save files for print or web, and more! This class is designed to get you up and running quickly with the fundamentals of InDesign: text, pictures and pages. Learn how to layout pages with text and graphics. In no time at all you’ll be able to control typography, add photos, create/use colors, and more! This 6-hour class is meant to get you started fast. If you want to learn InDesign in greater depth, you should check out our 18-hour Adobe InDesign class. This class is designed to get you up and running quickly with the fundamentals of Illustrator: the Pen tool, shapes, and basic drawing. Learn to create and draw vector graphics. In no time at all you’ll be able to control the Pen tool to draw straight lines and curves, use colors, layers, trace images, and more! This 6-hour class is meant to get you started fast. If you want to learn Illustrator in greater depth, you should check out our 18-hour Adobe Illustrator class. With the rise of mobile devices, animated GIFs have regained popularity because they just work (unlike Flash animations which do not work on mobile devices). In this class you’ll learn how to create animated GIFs for websites, ads, or even HTML emails. Learn user experience design by applying UX processes to real-world projects. Create prototypes and wireframes, conduct user testing, create user personas, and present your findings. Design hi-fidelity mockups in Sketch, Adobe XD, or Photoshop. In this UX design class you will learn the fundamentals of engaging with the user, concept development and prototyping. You will also practice how to critically analyze and communicate your findings to the team and a real-world client. This intensive UX course prepares you to understand the basics of user experience practice through various methodologies and real-world projects. Learn how to use Sketch to create and optimize graphics for web and UI design. You’ll create wireframes and turn them into finished designs that are optimized for mobile, tablet, and desktop screens. You’ll learn how to design on grids, export image assets, create hi‑res 2x graphics, and so much more. Learn to design websites for mobile and desktop using timeless principles such as color, layout, and typography, as well as visual conventions, standards, and trends. 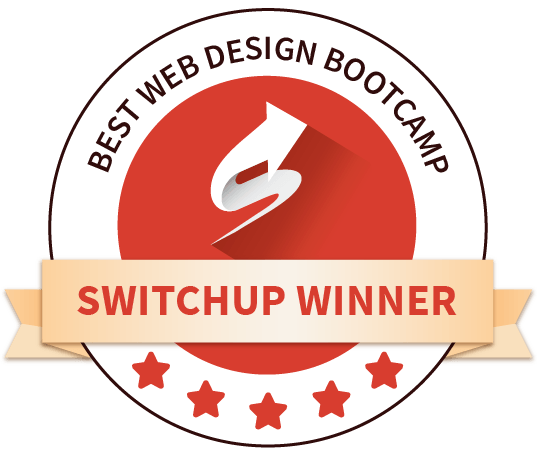 You will learn the process and principles for designing responsive websites through lectures and hands-on exercises. Learn how to use Adobe XD to create and optimize graphics for web and UI design. You’ll create wireframes and turn them into finished designs that are optimized for mobile, tablet, and desktop screens. You’ll learn how to design on grids, export image assets, create hi‑res 2x graphics, and so much more. Learn how to use Photoshop to create and optimize graphics for web and UI design. Create wireframes and turn them into finished designs that are optimized for mobile, tablet, and desktop screens. You’ll learn how to design on grids, extract image assets, create hi‑res 2x graphics, and so much more. Kick your Sketch skills up a notch and dive deeper into this amazing design app. Master Sketch’s symbols, update symbols and styles across documents, turn designs into clickable prototypes, and learn useful plugins to add features and expedite workflow. Learn fundamental design principles and apply your knowledge using tools such as Adobe Illustrator, InDesign, Photoshop, and Sketch. Design websites, build magazine layouts, create vector graphics, animate engaging content for the web, and edit video. Learn these skills in our introductory courses and comprehensive bootcamps in New York City. You’ll learn hands-on with real-world projects in our classes, available full-time on weekdays, or part-time on weeknights or Saturdays. Because of our small class sizes, you’ll receive individual support when you need help. You’ll be working hands-on from day one in any of our programs. At each class, you’ll receive a custom training manual developed by our team of instructional experts. This is a thoughtfully organized, well paced and delivered, practical course—a sort of ‘finishing school’ for the graphic designer. From now on, when I think of “creative/graphics” training, I’ll think of Noble. I loved the patience, knowledge, and professionalism of the instructor. I learned so much I feel I can now teach it :) Can’t wait for my future classes. Already working in the graphic design industry, this class was a great refresher course and helped me to remember why I chose to pursue graphic design as a career. I was worried coming into the class about being left behind in the instruction as design classes tend to be fast paced. The instructor, Michele, was extremely personable and patient; I especially liked the comfortable atmosphere of the classroom, and the overall flow of the class was very organized and professional. Clean presentation, great work materials. Illustrator was my third class at Noble, and they just get better and better. Michele is an excellent instructor; articulate, knowledgeable, and most important patient. Noble’s teaching method makes it easy to learn. I am sorry I waited so long to take the class. Thank you Noble and Michele! I knew InDesign was a program I would need help to understand. After this class, I don’t only understand it, I feel quite comfortable with it. I seriously cannot believe I learned so much in such little time! This class was very comprehensive for three days—I learned so much about Illustrator! The instructor was perfect: knowledgeable, attentive, and dynamic, delivering rather dry material with a sense of humor and fun. I’d recommend Noble Desktop courses to anyone. Noble Desktop has been there every step of my career, helping me to continuously develop new skills to keep pace and move ahead. I don't know where I'd be professionally were it not for Noble! Noble Desktop has an incredible plethora of design courses that they teach in depth and will really change any designers life. It's also great to get a refresher and learn all of the new updates in any design or web related program. Thank you! Noble Desktop is by far one of the best, if not the best experience I have had in a classroom learning environment for Adobe Creative Suite. Their teaching method of observing then doing is the most effective way in learning a computer software program. Highly recommended!!! If you don't know anything about the Adobe apps or if you want to master your skills, this is the right place to do so. A lot of information in a little bit of time, with a great booklet to reference! Noble is a great place for learning new stuff. The instructors are very knowledgable, friendly and extremely helpful. Real world assignments that strengthen your creativity. On the first day of class, you’ll receive a custom training manual developed by our instructional experts. Each manual has step-by-step instructions to repeat activities learned in class. You can also retake your class for free within six months. You will build your own projects in our graphic design classes. Learn by doing! Courses include a detailed workbook that covers all the same concepts we teach in class. Our instructors are accomplished professionals with years of industry experience and a passion for sharing their knowledge. Classes are scheduled frequently so you can choose from courses on weekdays, weeknights, and weekends. Since we started in 1990, over 40,000 designers have attended Noble Desktop’s courses. Our seminars, courses, and intensive programs have earned more than 2,000 reviews from designers and developers in New York and abroad. Our alumni are employed at top international firms, including NBCUniversal, Oracle, American Express, and publishing giant Condé Nast. Many of our alumni are successful freelance designers. Which Graphic Design Course is Right for You? Interested in a career in graphic design? We have the workshops, classes, and certificate programs to help you get started or expand your skillset. For those looking to get into graphic design, you’ll want to learn the apps designers use, as well as design concepts such as typography, composition, color, etc. Beginners can learn these applications in our classes or certificate programs. Designers with prior experience (such as print design) who are looking to expand their skills should consider our courses in Visual Design and UX (User Experience) Design. Photoshop is the industry standard photo editing app, but you can do a lot more with it than just manipulate photos. It’s very versatile and used by photographers, designers, videographers, and more to edit photos, create graphics, design websites, and build animated GIFs... just to name a few. Photoshop is one of the standard apps every graphic designer knows. You can use it to create graphics for many types of uses such as social media, web, emails, video, and print. The graphics can contain photos, text, logos, icons, etc. Photoshop can open and export a wide variety of graphic file formats, so you can use it for across many industries. Photoshop is best known as a photo editor. You can do standard image improvements such as adjusting contrast, brightness, color, sharpness or more advanced things such as moving elements from one background to another, removing unwanted elements, and adding in new elements (like a better face in a group photo). What you can do in Photoshop is only limited by your imagination and your Photoshop skills. Web Design: Because many designers know Photoshop, they use it when designing websites and web graphics. Adobe has added many web design features in the past few years. While some web and UI designers are now using other apps such as Sketch and Adobe XD, Photoshop is still used by many web designers and will probably continue to be used for quite some time. Animated GIFs: Animated GIFs are popular on social media, HTML Emails, and more. You can create them with Photoshop or After Effects. Photoshop is easier for create simple animated GIFs. After Effects can create more complex animations (which you can make into animated GIFs), but it’s also a more complex app to learn/use, so it can be overkill for creating some animated GIFs. From long documents (such as books and magazines), to short documents (such as brochures and business cards), InDesign is great at creating layouts that combine text and graphics. InDesign is ideal for creating designs that will be printed, but can also be used for digital output such as eBooks, PDF, and more. InDesign is the king of long documents. You can import content from authors (Word files, Excel documents, etc.) and then style it and lay out page. InDesign has many features to help along the way, such as paragraph styles, character styles, object styles, master pages, powerful find/change, tables, footnotes, table of contents, and much more. InDesign can even export eBooks as ePub files, which can be converted into Mobi files for the Amazon Kindle. InDesign can create small documents such as business cards, brochures, and more. InDesign’s amazing typography features are useful in any design that involves type, whether it's a poster or flyer. From one page to hundreds, InDesign is up to the task. InDesign has many features that help you create professional PDFs. You can create high-quality PDFs that will be printed, or optimize them for fast download via email or website. You can create PDF forms, or add interactive PDF features (which unfortunately do no work well on most mobile devices). Illustrator is the industry standard vector graphics and illustration app. Designers and illustrators use it to create logos, web graphics, fashion designs, product packaging, and so much more. Even if you can’t draw things by hand, there’s still a lot of things you can do with Adobe Illustrator. Before we talk about some of the common ways people use Illustrator, let’s quickly cover the difference between vectors and pixels. Drawing & Illustrations: One way to create a vector drawing/illustration is to draw it by hand and then trace it in Adobe Illustrator. You can also draw directly in Illustrator. Having artistic talent helps, but even if you can’t draw well in real life, you can still use Illustrator’s drawing tools to create things you might never have been able to create by hand. Logos & Icons: It’s important to create logos as vectors, so they can be used at any size. Creating a logo in Photoshop as pixels would be a mistake, because you’d limit the quality and size at which you can use the logo. Icons are used in websites, apps, print, and all types of design. These too are best drawn as vectors so they can be scaled without loss of quality. Web Graphics & social media: Vector graphics can be used in websites as SVG (Scalable Vector Graphics). Social media graphics often require converting your designs into pixel-based PNG or JPEG files, but it can still be easier to work with vectors during the design process. Fashion Design: Fashion designers often use Illustrator to create patterns (controlling how art repeats within a pattern), explore color, and to show how patterns look in a dress, shirt, pants, etc. Product packaging: Designers that create packaging appreciate Illustrator’s precision and many graphic features. Amazing typography, graphic effects, ability to import photos, and many more features let packaging designers create the beautiful packaging material that will be printed and used to sell/protect the products we purchase. Once you’ve learned the graphic design tools, learn design theory and develop a portfolio to show clients and employers. In our Graphic Design Bootcamp, you will produce several portfolio projects, including logos, social media graphics, stationery, book/eBook covers, album covers, event posters, and email announcements. By the end of this class, we hope you’ll have at least five finished pieces for your portfolio. The instructor is available throughout the six classes to give feedback and advice on all projects both during and outside of class. Type is an important part of all designs. There are many aspects designers can use to control the appearance of type. It's not only choosing the typeface/font, designers can choose the weight (bold, black, light, etc. ), style (italic, condensed, etc. ), uppercase vs lowercase, line height (leading), and much more. Typography affects how easily something can be read, how quickly a viewer can scan over and get a sense of the content, as well as emotional feelings (serious, playful, happy, sad, etc.). Color is a powerful tool that designers use to draw the viewer’s attention to certain elements. It’s also used to affect the emotional connection and mood of a design. Color is very important for branding. Composition is important for creating layouts that are visually attractive, as well as easy to understand. Composition involves hierarchy (the order of importance), spacing, proximity, balance, alignment, contrast, repetition, and more. A UX designer is a “people person” that focuses on the needs of users to enhance a product (website, app, etc). Rather than designing graphics, UX designers conduct user research, create and test ideas with prototypes, and do user testing to see how things perform. They communicate these insights to visual designers and developers. User experience research takes many forums. UX designers observe customers interacting with a product and conduct interviews to understand their needs. UX designers also use stealth research methods like the A/B testing to test out different experiences to see how they perform in the real world, allowing them to see which perform best. Sketch is a Mac-only app that many UX designers use to create designs and prototypes which they can test on users and show clients and developers how something will work. Sketch is often paired with InVision (using it’s Craft plugin) to create the prototypes. You can buy Sketch for $99 which includes 1 year of updates and Sketch Cloud. After that, you can renew the license for $69/year if you want updates and access to Sketch Cloud. Adobe XD is a newer Adobe app that is very similar to Sketch. Unlike Sketch though, it works on Mac and PC. It has an integrated approach which enables you do all design work in a single app: wireframes, prototypes, visual designs, etc. You can get XD for free (with some limitations), as a single app for $9.99/month, or as part of the Creative Cloud. Visual or UI designers work with UX designers to design visuals for websites, apps, and more. They determine the colors, typography, and appearance based on insights gained from the UX design process. Visual designers typically use Sketch (Mac only), Adobe XD, or Photoshop to create their designs. Sketch is a Mac-only app that many web designers are using, and more people every day are switching to it. Not only can you create your designs (for website, apps, etc. ), but you can even turn them into working prototypes to show clients and do user testing with. Adobe XD is a newer Adobe app that is very similar to Sketch. It’s an easy to use app that enables you to design and prototype your ideas. Unlike Sketch though, it works on Mac and PC. It’s a relatively new app and is still developing rapidly. Photoshop has been around the longest and is used by many web designers. It is a photo editor with web design features added on, so some web designers are turning to other apps such as Sketch and Adobe XD which were created solely for the purpose of visual and UX design. You can get Photoshop for $9.99/month, or as part of the Creative Cloud.